Another fun boasting found on the inside of an old piano . . . 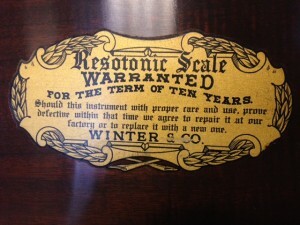 Boy that Resotonic Scale sounds good!